China changes so rapidly - if you blink, you'll miss it! That's why having a permanent presence in China is so vital to keeping pace with the almost daily shifts in market status and opportunity. We use both online and offline tools to test the market for your product or service. Importantly, we conduct all our research in China, with real Chinese consumers. Focus groups, pop-ups, online-to-offline, surveys - we provide research that covers all bases. 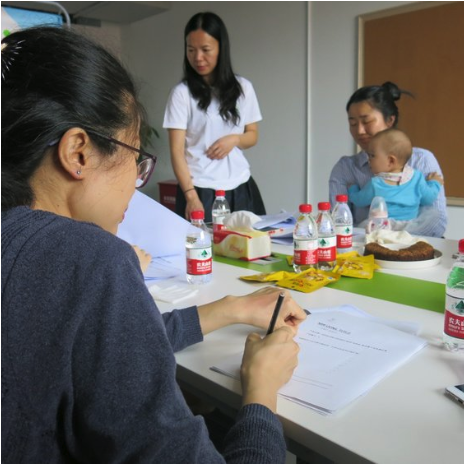 Because we are on the ground in China we have access to real Chinese consumers through our regular, offline focus group sessions. We also offer online sessions, but we find face-to-face contact with targeted participants is the best way to obtain that all-important, honest, first impression from your potential customers. And because we understand the Chinese culture, we can ensure your feedback is genuine. We are open and transparent about our processes to ensure you see that you are receiving value for money, and we can even arrange for you to attend a focus group featuring your product, as part of our market evaluation visits. Misguided expectations abound in China - we can save you time and money by giving you informed analysis of your China potential. Nervous about over-committing to China? For as little as $600 AUD, we can give you a quick, accurate, timely market scan to determine who your competitors are, their pricing and market penetration.